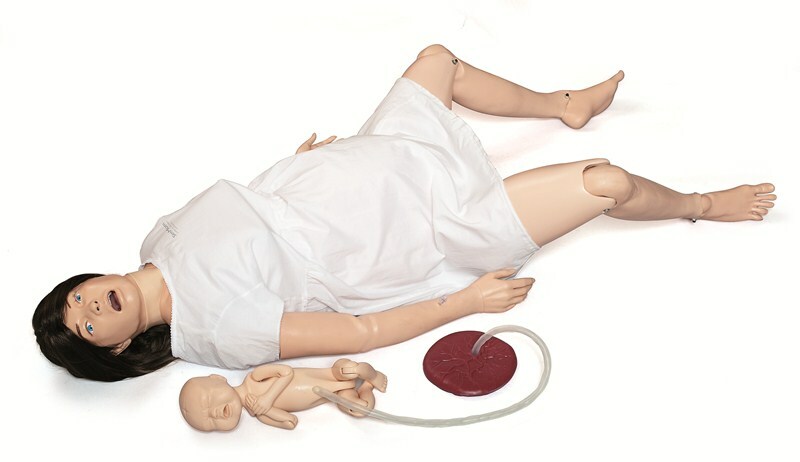 The Laerdal-SonoSim Ultrasound Solution for SimMom provides an easy-to-use and highly realistic ultrasound training and proficiency assessment tool. As ultrasound training technology is integrated in the simulator chest and abdominal skin, it is easy to perform an ultrasound at any time. To increase realism additional skins are provided to give SimMom a gravid and flat abdomen.